The development of every new generation of early warning and notification systems means thousands of working hours that hardware and software developers spend at their computers, but also a considerable amount of time that is necessary for testing their designs. One of the most important tests for acoustic warning devices is a device acoustic output test in real measurement conditions. For Telegrafia’s products, it sometimes means reaching an output as loud as 153 dB. Therefore, special testing areas are frequently rent to this end, usually situated in woods or remote locations. However, renting such areas may be rather complicated since they are normally booked for months in advance, which decreases the flexibility of development of devices and increases their time to market. 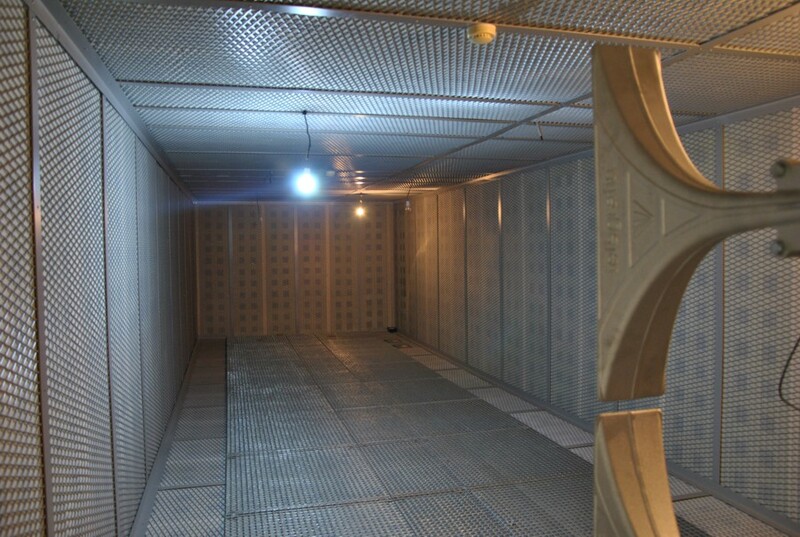 As part of a large development infrastructure investment project, the Telegrafia company has decided to build its own full-size acoustic chamber in the company headquarters’ basement. 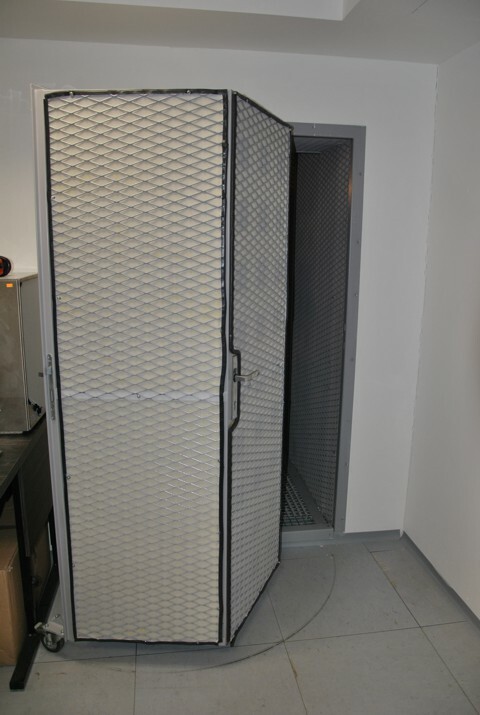 This was a simple yet an uneasy decision to make: the acoustic chamber was the largest development unit, regarding the size and money ever invested and put into operation in the company history. 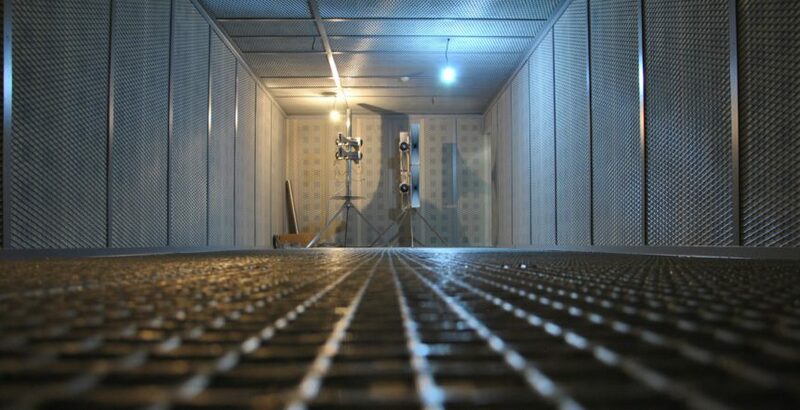 The acoustic chamber made the basement of the company the loudest and quietest place in Telegrafia. The non-reflecting environment of the chamber similar to an open area enables an electronic siren to be tested under the same acoustic conditions. If the siren is placed at the one end of the chamber and a microphone at the other, it is possible to measure the acoustic pressure for an acoustic wave transporting the acoustic output in the environment. Not only is this possible for the near field, circulating horns, but also for the real acoustic wave carried by the environment. Assessment of horn/driver efficiency as a ratio between the supplied electric power and the generated acoustic pressure. The possibility of testing several audio settings, i.e. horn arrangements, and selecting the most appropriate solution to generate the maximum acoustic pressure. Better optimisation of the system due to using real amplifiers and drivers instead of simulating the real conditions by resistor bleeders. The possibility of making comparisons between various drivers and their interactions. 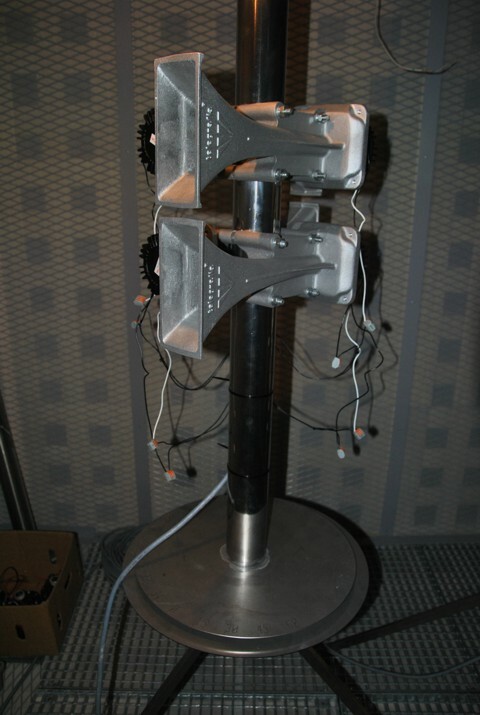 Assessment of maximum acoustic driver outputs using destructive methods, demonstrating the actual performance of drivers better than any simulations. 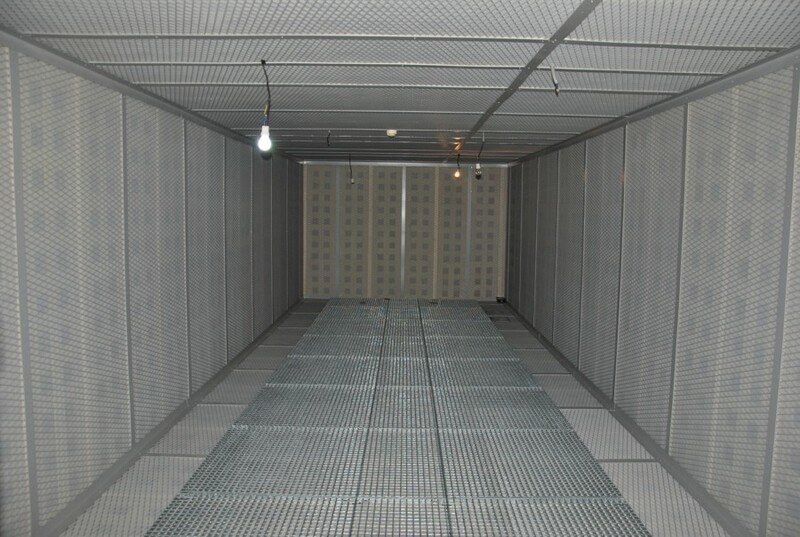 The massive investment in the full-size non-reflecting acoustic chamber is seen by many as a step in the right direction. 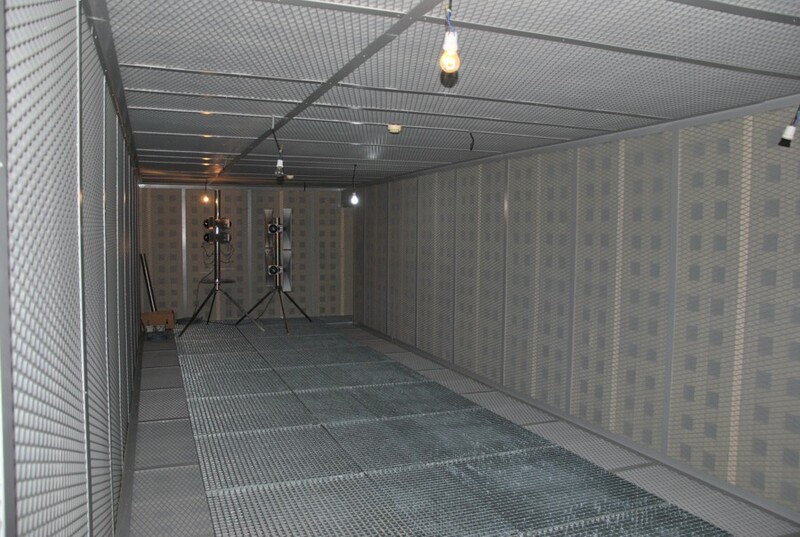 This considerable step forward enables the development department to carry out a lot more realistic acoustic tests rather than only estimate the relevant parameters by computation. Such tests can be carried out any time during the development of new devices or after the delivery of new components by other manufacturers. Therefore, customers obtain more reliable, powerful, and effective products which contain cutting-edge technologies, which, in the end, is the result of a shorter development period.